Red Rooster Performance has started dispatching the aftermarket exhaust for the Royal Enfield 650 Twins. Here's a YouTube video that showcases the unboxing, installation and sound from the Stellar exhaust from Red Rooster Performance on the Royal Enfield Interceptor INT 650. The exhaust, as seen in the video, comes in a neat package and includes an installation guide. It also gets nuts and bolts that would be required to install the units onto the motorcycle. 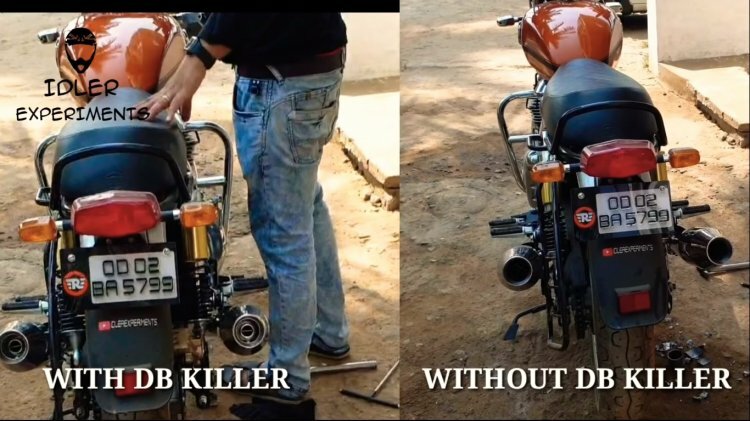 As seen in the video, the motorcycle owner records the sound of the Red Rooster Performance exhaust with and without the DB killers. The exhaust note with the DB killer sounds refined, and it should not attract the attention of the traffic cops. However, the sound is noticeably loud and can land you in trouble. The Royal Enfield 650 Twins come with a parallel-twin cylinder engine featuring a single-piece forged counterbalanced crankshaft with 270-degree firing order. The setup is aimed to provide a V-twin-like character to the exhaust note and minimise the vibrations. The aftermarket exhaust further enhances the exhaust note. The 648 cc parallel-twin, air-cooled engine, on the stock motorcycle, delivers 47 bhp of maximum power at 7,250 rpm and 52 Nm of peak torque at 5,250 rpm. Apart from unboxing and installation, the video also captures the exhaust note of the Red Rooster Performance exhaust with and without DB killers. In other updates, the Chennai based two-wheeler brand is ready to meet the upcoming safety norms, as its complete product portfolio is equipped with (dual-channel) ABS now. The installation of ABS, along with increased insurance cost, has pushed up the prices. Furthermore, the increase in competition has resulted in lower sales numbers for the brand. Royal Enfield has reported negative year-on-year growth for four consecutive months.